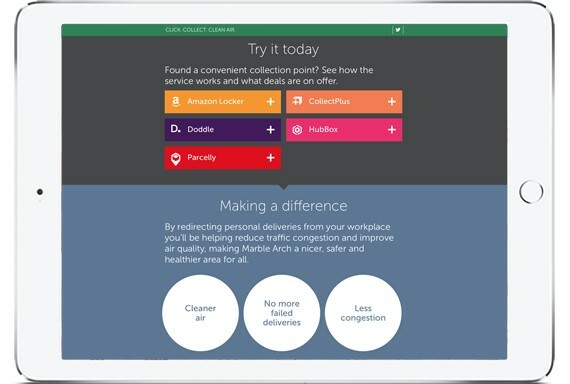 A dedicated personal deliveries portal has been launched by Marble Arch BID, offering people who live and work in the area a full range of local click and collect services. It is estimated that 40% of deliveries to offices are personal deliveries, adding to the number of small scale freight journeys on roads in the capital. By using a ‘click and collect’ service you can help reduce the number of vans on our streets, making Marble Arch and Edgware Road a healthier place to work, shop and visit. 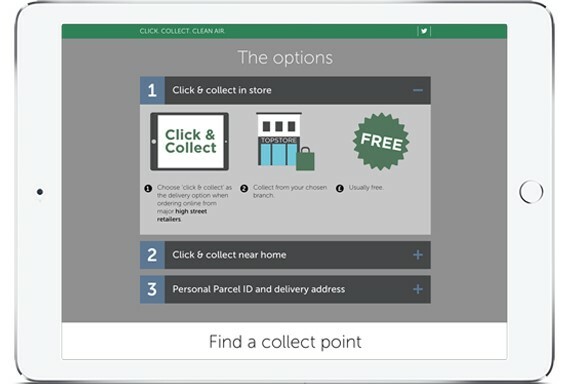 Using the new Marble Arch Click and Collect service you can collect in store at multiple locations, have parcels delivered nearer home or use a personal parcel service; all by using our scalable map. Supported by the Mayor of London and delivered through Cross River Partnership’s Clean Air Better Business Campaign, the new Click and Collect portal is part of a London-wide initiative to improve air quality in the capital. Try out the Marble Arch Click and Collect portal here and check out the introductory special offers.